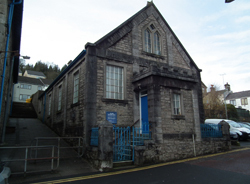 Fellside Methodist Church is in the heart of Kendal. We are a small, but friendly church committed to serving the local community. Many groups use our hall, which is adjacent to the Church, and is available for hire. Service Times: The Sunday morning service is at 10.30 a.m. with Holy Communion on the 2nd Sunday of each month. We share our evening services with Stricklandgate Methodist Church. Fellside Methodist Church is committed to serving the local community. which is available for hire. Our Church is located on Lower Fellside. Its postcode is: LA9 4NH but for visitors coming by car, it is best to park in Booths Car Park (Pay and Display) and walk up to the church, which is just a minute's walk to the rear of the car park.